Jason Burke was named Lander's sixth baseball coach on Aug. 18, 2016. Burke spent the past five seasons as the pitching coach and recruiting coordinator at Wofford College. During his time with the Terriers, five Wofford pitchers were selected in the Major League Baseball draft and three were chosen to the All-Southern Conference team. Prior to his time at Wofford, Burke spent four seasons on the staff at Gardner-Webb under former Lander head coach Rusty Stroupe. Burke played for Stroupe at Lander in 2001. The former Bearcat player spent the 2006-07 seasons as an assistant at Wofford. In 2016, the Terriers won 30 games, marking the program's third consecutive year with 30 or more wins. Wofford finished the 2016 season 12-12 in the Southern Conference, just the second .500 or better mark in league play for the Terriers. The pitching staff ranked second in the SoCon with 470 strikeouts, while finishing fourth in ERA, fifth in opponent's batting average and sixth in innings pitched. Senior Matt Milburn led the league in strikeouts with 103 and was named second team All-Southern Conference as a starter by the coaches and media. Senior Will Stillman earned second team honors as relief pitcher by the media after leading the conference in saves. Following the season, Stillman was selected in the sixth round of the MLB Draft by Philadelphia and Milburn was a 29th round pick by the Oakland A's. Stillman was the highest draft pick from Wofford since the 1983 season. In 2015, Wofford won a school-record 39 games as the pitching staff recorded 503 strikeouts in 532.0 innings. The 503 strikeouts were the second-most in the Southern Conference, while the staff ERA of 4.91 was third in the league. The 4.91 ERA marked only the second time in the last 30 seasons at Wofford that a staff has posted an ERA under 5.00. Junior Matt Milburn was named to the All-Southern Conference first team, while junior Will Stillman was named to the second team. Freshman Adam Scott was selected to the Southern Conference All-Tournament Team along with the All-Freshman Team. Milburn led the league in wins with 10 and was fifth in the conference with 87 strikeouts. Scott was third in the SoCon in ERA at 3.68 and his complete game shutout of Furman in the conference tournament eliminated the Paladins. For the first time in school history, two players - both pitchers - were selected in the MLB Draft in 2015. The Philadelphia Phillies selected junior Luke Leftwich in the seventh round, the highest pick of a Terrier since 2007. Leftwich had 114 strikeouts on the season, second-most in a single season in school history. Junior Will Stillman was a 29th round selection by the Boston Red Sox after posting a school-record 15 saves. In Burke's third season as pitching coach, his staff led the Southern Conference in strikeouts with 496 while posting a school-record 32 wins. The 496 strikeouts were the most in school history, while the 533.1 innings pitched were the second-most. Among the national leaders, the Terriers were seventh in the nation in strikeouts per nine innings (8.4). Jesse Morris was second in the SoCon with nine wins and fourth in strikeouts with 84. Morris ended his career third in school history with 253 strikeouts. Eric Eck was fourth in the league in saves with a school-record twelve and tied for second in the Southern Conference record book with 29 career saves. Will Stillman was fifth in the SoCon in appearances. In the 2013 season, the pitching staff was fourth in the Southern Conference in strikeouts with 448, topping the school-record set in 2012. Jesse Morris had 102 strikeouts, becoming only the fourth player in school history to break the century mark. Will Stillman was named to the Southern Conference All-Freshman Team. Pitcher J.D. Osborne was selected in the 36th round of the MLB Draft by the Houston Astros. During Burke's first season back at Wofford, Brandon Yarusi was named second team All-Southern Conference with 107 strikeouts, the most in the Division I-era. The pitching staff's combined earned run average was 4.79, the lowest for a Wofford squad since 1983. The 416 strikeouts set a school record, while the opponent's batting average of .255 was the lowest in the Division I-era. Pitcher Alex Wilson was drafted in the 15th round by the Atlanta Braves. In 2011, Gardner-Webb advanced to the Big South Conference Tournament championship game. The school finished with a top-100 RPI for the first time in program history. The 34-23-1 record marked the program's best season at the Division I level. Burke helped develop a strong bullpen that allowed Gardner-Webb to tie the school record for saves in a season with 16. Prior to joining Gardner-Webb, the Duncan, S.C., native helped lead Wofford to the 2007 Southern Conference Tournament title and an appearance in the 2007 NCAA Regional at the University of South Carolina. Burke served as head coach in 2008 for the Hornell Dodgers of the New York Collegiate League, and was named Southern Collegiate Baseball League Coach of the Year in 2006 after directing the Morganton (N.C.) Aggies to the summer circuit's championship. The Byrnes High graduate also has wooden-bat coaching experience with the Carolina Chaos (SCBL), and has served in a variety of coaching roles on the high school and American Legion levels. Burke began his college playing career at Lander and finished at Southern Wesleyan University, where he graduated in 2004. He also completed a master's degree at Gardner-Webb in Sport Science and Pedagogy. He and his wife, Ansley, have one son, Sullivan. J.T. 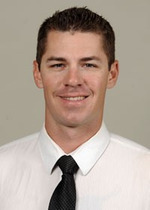 Maguire is entering his first season as the assistant coach and recruiting coordinator for the Lander baseball program. Maguire spent the last two seasons as an assistant coach at Wofford. In Maguire's two seasons at Wofford, the Terriers won at least 30 games. In 2016, Wofford lead the Southern Conference with 101 stolen bases. The Terriers set a school record with 39 wins in 2015 and lead all of Divsion I baseball with 138 steals. Wofford batted .302 as a team with 184 extra base hits. The Terriers had two All-American selections and seven All-SoCon players during Maguire's tenure. In 2016, Maguire helped lead Wofford's baseball team on a 10-day trip to Italy for a class called "A Study of the Art, Religious and Cultural History of Italy." Over the last two years, Maguire was the head coach of the Forest City Owls in the Coastal Plain League. In 2016, the Owls posted a 34-win season and earned their first playoff birth since 2010, advancing to the CPL semi-finals. Maguire served as an assistant coach at Hartford Community College for two years prior to his arrival at Wofford. In 2014, Maguire helped lead the Fighting Owls to a regional championship and a Super Regional appearance. Maguire was an assistant coach at his alma mater, North Harford High School, helping lead the school to an appearance in the 2012 Maryland state championship. In 2010, Maguire served as an assistant on the staff of The Park School of Baltimore, which won the Maryland state championship. As a player, Maguire spent two seasons at Delaware Tech Community College before playing his final two years at St. Andrews Presbyterian College. Zach Honeycutt is entering his first season as an assistant coach for the Lander baseball program. Honeycutt spent last season as a volunteer assistant coach at USC Upstate, where he worked primarily with catchers, while assisting with hitting and defense. Under Honeycutt's tutelage, freshman catcher Charlie Carpenter committed just two errors in 248 chances for the Spartans. Honeycutt also served as an assistant coach for the Forest City Owls last seaason, where he helped lead the Owls to a 33-23 overall record and the Coastal Plains League's Western Division championship for the second half of the season. The Owls finished fifth in the CPL for fewest passed balls and catcher Adan Ordonez was selected to play in the CPL All-Star game. A native of Locust, N.C., Honeycutt played collegiately at Mars Hill and graduated in 2015. He has worked with Marty Reed, current bullpen coach for the Atlanta Braves, and Travis Barbary, former catching coordinator for the Los Angeles Dodgers.